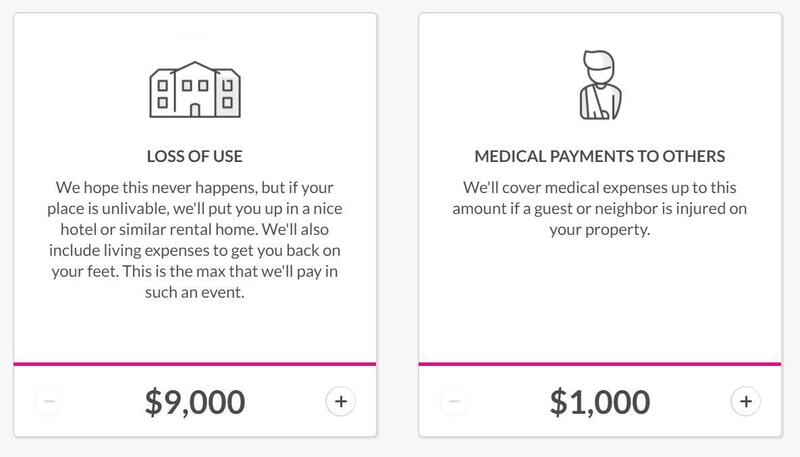 Lemonade offers renters and home insurance policies for homes, apartments, co-ops and condos. They don’t employ insurance brokers—it’s all handled by chatbots and artificial intelligence. It seems like everywhere I go, they come up in conversation. At an entrepreneurship meetup, there was a discussion about their innovative business model; at another meetup, attendees noted the company’s disruption of the insurance world; and in a Facebook group for female UXers, a member mentioned Lemonade for their gender inclusiveness. 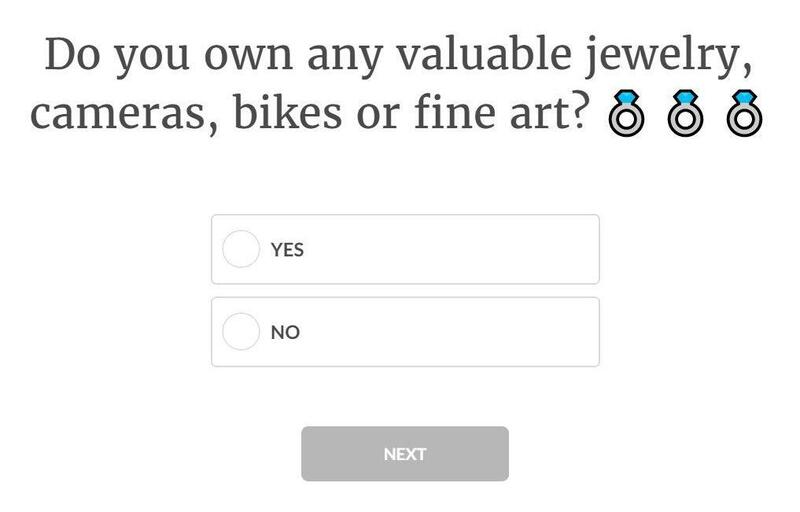 Related: Who should write your microcopy? Curious to see what the fuss is about, I finally checked out Lemonade and was delighted by the user experience. 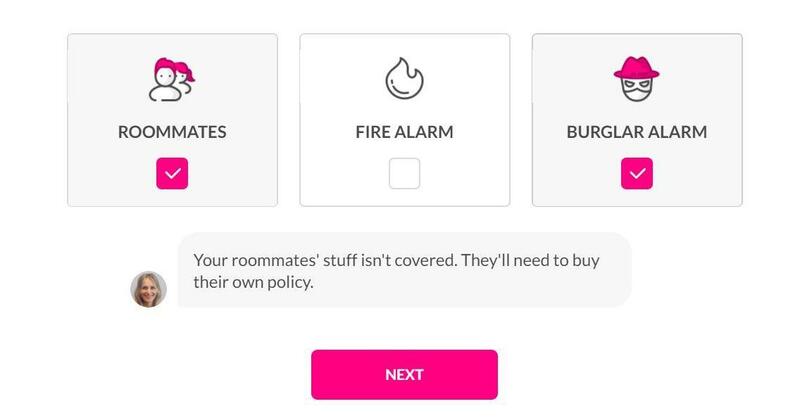 What really sends their UX over the top is their microcopy. For this post, I’m going to share some examples of how Lemonade uses microcopy to make their experience as smooth as possible, and the best practices we can learn from them. Each screen holds only one question, and you move on to the next when the former is answered, just like in a real life conversation. The opposite end of the conversation—the UI—sounds and feels like a human would. In Lemonade’s case, it’s a bot named Maya (who even has a human face), but the most important ingredient is the simple, natural language. Although the subject matter is insurance, there’s no use of formal legal language (I’ll talk more of this later), and everything is written in contemporary, convincing, conversational language. A golden tip: If your product features a form, a bot, or any other registration process that simulates an interaction with a service rep, take the time to visit a service call center and listen in. The calls you listen to will give you the simple conversational language in which to phrase questions and provide answers. When I wrote a chatbot for a banking process, visiting a call center gave me almost the entire representative side of the conversation, in the most natural and authentic way. The first question asks my name, and in the next screen I’m referred to by my first name. 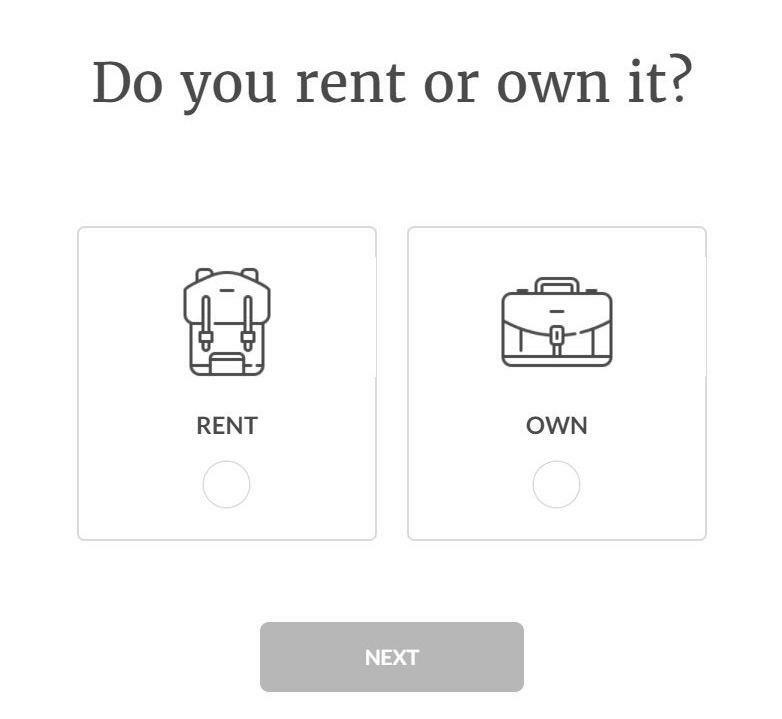 In one question they ask, “What’s your home address,” and in the next they ask, “Do you rent or own it?” Maya the bot does not repeat “your home,” as I’m relied upon to hold my end of the conversation and keep in mind what “it” refers to, even though the former question is no longer on screen. For example, only after I indicated I had roommates did a notice appear to inform me they are not covered by the insurance policy. If Lemonade had indicated that (or any other comment) permanently, they would have cluttered the screen with text only some of users might need. On top of that, the notice appeared as if Maya were telling it to me in response to the choice I made, thus strengthening the feeling of a personally customized conversation. What am I choosing here, who is it for, and what are the ramifications of making this choice? Only when users have all the information needed, can they make an informed and settled choice. In this example, someone who wants to take out insurance for a rented apartment can add interested parties to the policy. 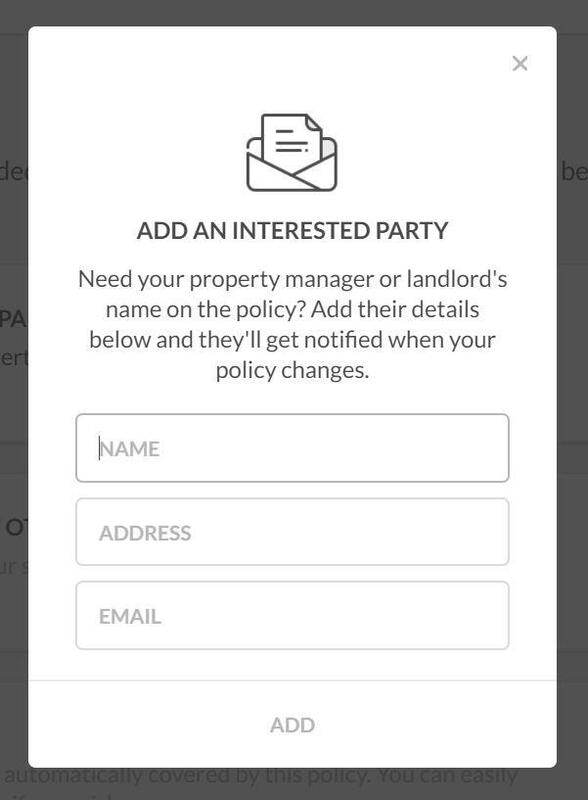 This choice appears with all the requisite information: price (free), who can be considered as an interested party (building supervisors or property owners), and what it means to add interested parties (they get notified on any change made to the insurance policy). This way people are sure they got what they meant to get, or they can decide they need something else. Yes, it’s possible to explain legal terms in a way that isn’t confusing. Using archaic, long-winded legalese works against the sense of trust, human contact, and experience of digital products. Lemonade shows it can be done differently. Everything is simple and clear, accompanied with real-life everyday examples—straightforward and trustworthy. 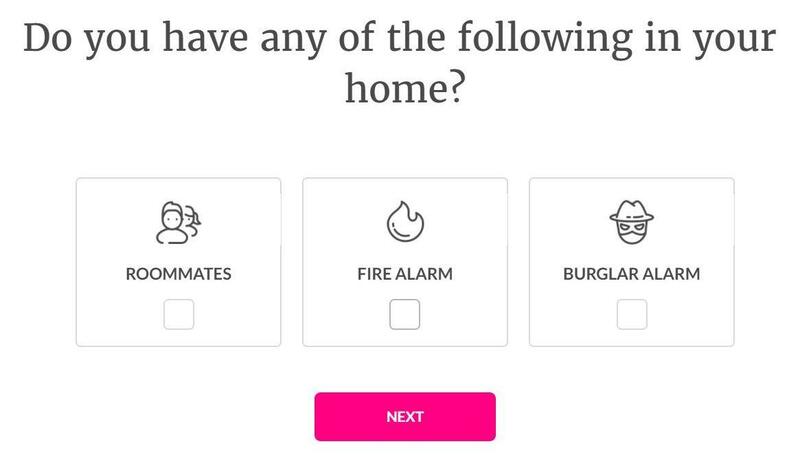 This interface speaks to humans in way that’s easy to understand, thus gaining their trust. Lemonade’s business model makes it so that they can settle claims faster and easier, resulting in happy customers. Plus, part of their revenue goes to charity. It’s all about putting people first. But you have to really look to find Information about this model—it’s towards the bottom of their homepage, below six strips where the main focus is on the customers by explaining who Lemonade is for, the rates offered, the short process time for claims, how to migrate an existing policy from another company, and more. It’s clear that people come first, and customers may wind up choosing Lemonade because of this. What great design have you experienced lately? We’d love for you to share it here on the InVision Blog. Get in touch: @InVisionApp. Keep reading about microcopy: 8 quick ways to write microcopy that turns visitors into customers. Kinneret Yifrah is the leading microcopy (UX writing) expert in Israel, and the author of “Microcopy: The Complete Guide.” She has written microcopy and designed voice and tone for the largest local companies. Kinneret gives lectures and microcopy-writing workshops throughout the Israeli digital industry.